Give the gift of Gas Engine Magazine! We’ve made gift giving easy! 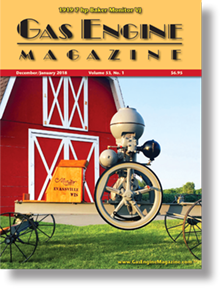 Gas Engine Magazine is the perfect gift for friends and relatives who enjoy the antique gas engine and tractor hobby. Each issue delivers information on restoration stories, company histories, technical advice and much more. Each gift subscription is for 1 year (6 issues) at $41.00.